As a whole I would say the Winter season has been really strong. I went into it hoping to be impressed and haven’t been disappointed. The quality of shows for me have been up there which made it difficult just to avoid blogging half the season XD. Winter had a pretty strong variety of shows and a fair number of surprises that ended up far more enjoyable than I expected going in. Of course the top shows have delivered. Nanatasu no Taizai has been everything I hoped the sequel would be. The action has been good, the characters remain likable, and the threat to the Sins has been pretty extreme. Fate/Extra has also been extremely enjoyable and even better than I expected. Instead of a straight adaptation of the game some real surprises are in there. Just a show that is too much fun at times. Overlord has remained strong in its second season. Koi wa Ameagari no You ni, really caught me offguard with how good it was. I was curious about how they’d handle romance being set up there. But they really nailed it with some great visuals, characters, and music. With all that in mind it really leaves Spring with a tough act to follow. Even still I think Spring will be a pretty strong season. It has some big sequels coming and some shows with interesting premises. With some solid carryovers this should make for an enjoyable season of anime. As usual I’ll be referencing from Livechart and Anichart. These are the shows I’m the most hyped to see. That is either because I’m familiar enough with a previous season/source material or just because the previews and summaries look really good. There are just times that a show will have you excited going into a season and these are the shows that fit in that category for me. Izuku has dreamt of being a hero all his life—a lofty goal for anyone, but especially challenging for a kid with no superpowers. That’s right, in a world where eighty percent of the population has some kind of super-powered “quirk,” Izuku was unlucky enough to be born completely normal. But that’s not going to stop him from enrolling in one of the world’s most prestigious hero academies. This is honestly one of the shows I’ve most looked forward to this year. It could be one of the best shows of 2018 if they do it right. 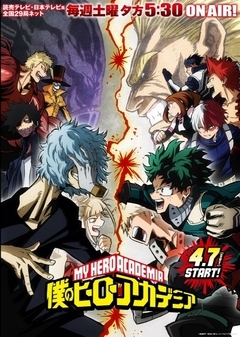 Bones has done a fantastic job adapting this manga through the first couple seasons. They are showing just how you should and can adapt a long-running shounen series. Just do one or two cours at a time depending on what stopping point you want. You can avoid massive filler arcs and give it the best quality possible. I know where this season is going and I’m absolutely hyped to see it animated. It should be something really darn good. This could be something really good as well. As far as I’m concerned, Stein;Gate is practically a classic on its own. That show has some incredible highs, some emotional gut punches, and an ending that really had me pulled in right to the end. I’m really excited to see just where things go with this. The setting sounds like an amazing side story. If they capture the same kind of emotional ride that the original series did…this could also be a top show of the entire year much less the Spring season. 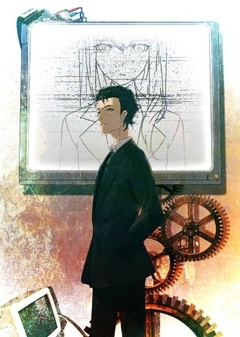 I’m looking forward to seeing how they explore things including this simulated Kurisu and how Okabe handles it all. A show like this is partly why I’m so hyped for the Spring season. 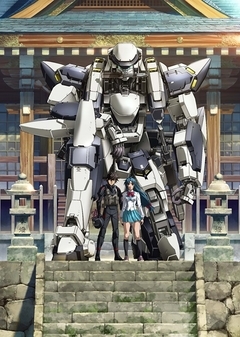 Another season of Full Metal Panic is one of those things you put on a list of shows you hope to see again but don’t expect to. That this show is happening at all is a huge win. Now I’m just hoping it can live up to my hopes and deliver something special. 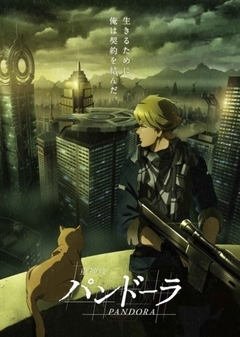 Been waiting a long time to see how things would turn out for Sousuke and the rest of the main cast. Fingers crossed with this one. Now we get into the middle tier of hype. I’m not as excited about these as the shows above. But I’m still pretty interested in watching them. Some have intriguing premises that I’m curious to see play out. While some have source materials that I’m sort of familiar with, but not extremely interested in. Some of these could easily turn into my favorites, but not as hyped about them going into the season. Overall I do like the SAO franchise. I know this franchise is very much love/hate for a lot of people. The first season for me was the best one and I was pulled into the story being told there. Some of the story arcs that came after were very much hit or miss. In that sense I’m actually excited to jump into a side story kind of situation. The setting of SAO allows for plenty of good stories that have nothing to do with Kirito. The setting for this seems solid enough, just have to see how it turns out. 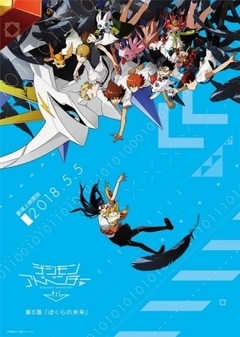 Sixth and final Digimon Adventure tri film. - It's been six years since that summer adventure when Taichi Yagami and the rest of the DigiDestined crossed over to the Digital World. 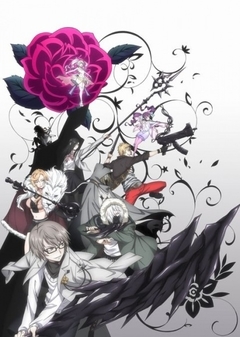 And nearly three years have passed since the final battle between Hikari Yagami's group and BelialVamdemon. As the peaceful days passed by, at some point the gate to the Digital World closed. Not even the DigiDestined know what caused this, and time alone continues to pass. And so we finally reach the end of this Digimon Movie ride. I know for some these movies haven’t delivered and for some they have been enjoyable. There are still things I would nitpick about and wish they’d done differently. But I’m still looking forward to this last movie/series of episodes. I always did want one last adventure with the original cast from Digimon and this is going to be it. Fingers crossed that they can deliver an enjoyable experience that will make it worthwhile. I’m not jumping out of my chair excited, but I’m still pretty interested in seeing how it all ends. Persona 5 is a game about the internal and external conflicts of a group of troubled high school students – the protagonist and a collection of compatriots he meets in the game’s story – who live dual lives as Phantom Thieves. They have the typically ordinary day-to-day of a Tokyo high schooler – attending class, after school activities and part-time jobs. But they also undertake fantastical adventures by using otherworldly powers to enter the hearts of people. I enjoyed playing Persona 5 the game. It was one of my favorite games of the past year. 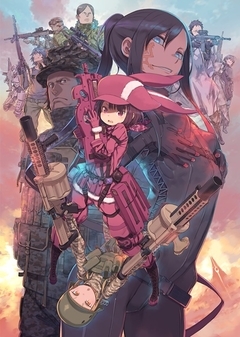 So I’m really hopeful that this anime adaptation will be solid. It can be tricky to figure things out with a massive RPG adaptation. There are hundreds of hours of gameplay that you need to condense down. 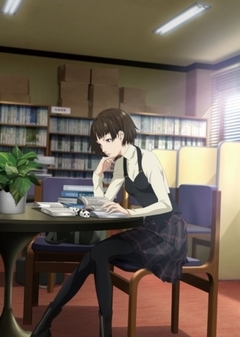 I think the Persona 4 adaptations were hit and miss at points, but overall were good shows. So I’m hopeful that if nothing else this will be a good show. If they can make it all fit and be a better show than the P4 ones that would leave me with a smile. 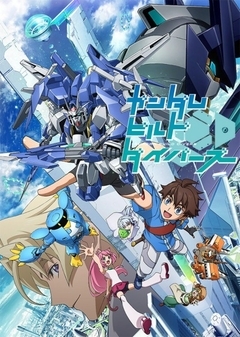 The Build Fighters series of shows have sadly been my favorite Gundam series over the past few years. Maybe part of it is just that they make them so darn fun. They can treat the action as exciting, but usually not life threatening. It is kind of a sports show in that sense, but with Gundams/gunpla which kind of works for me. I don’t know if this one will be any good since it doesn’t look to be a direct sequel. But I’m curious to see how this plays out. 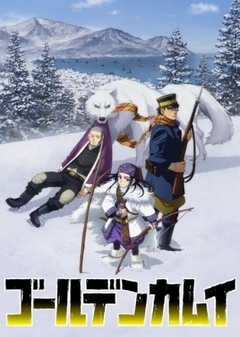 In the early twentieth century, Russo-Japanese War veteran Saichi “Immortal” Sugimoto scratches out a meager existence during the postwar gold rush in the wilderness of Hokkaido. When he stumbles across a map to a fortune in hidden Ainu gold, he sets off on a treacherous quest to find it. But Sugimoto is not the only interested party, and everyone who knows about the gold will kill to possess it! This is one I really knew nothing about before looking into this season. The setting and summary for this one does sound pretty interesting though. This war veteran comes across a map for hidden gold and has to struggle against all odds to survive and find it. It could be a pretty exciting show and with some good character moments. Curious to see this guy try to survive using his wits and seeing how the girl he meets will turn out as a character. 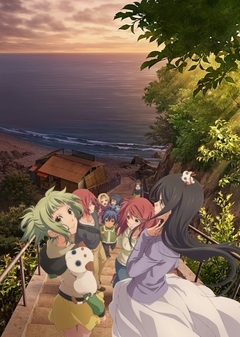 Second season of "Amanchu!" - Hikari Kohinata is a cheerful 15-year-old girl who lives near the ocean and she spends much of her time diving as a result. On her first day of high school, she meets a teacher who also likes scuba diving. There's also a 16-year-old classmate, Futaba, who gets dragged along in Hikari's maelstrom as soon as they meet at school. This wasn’t a show that I was too excited about when it came to the first season. But I did enjoy the first season and thought the show presented some nice ideas. It was a reminder to me at least to try and look at things a bit more positively. I can’t relate to the diving aspect of the show since I’m not much interested in even swimming. However the character moments and feel good nature should keep me enjoying this second season. I still can’t quite get used to the weird faces one of the main characters has…but that’s just something I’m prepared to live with. So we’ve arrived at the shows that I’m just interested enough in to talk about. Good shows and ones I really like sometimes come out of this section. I just don’t know enough about these shows or don’t see enough from the previews to be excited yet. These shows have caught my eye though to the point that I’ll definitely check out those first episodes. Mitsuyoshi Tada, a boy who has never known love, is taking pictures of the cherry blossoms in full bloom when he meets Teresa Wagner, a transfer student from Luxembourg. Upon arriving in Japan, she got lost, separated from her travel companion. Mitsuyoshi helps her and brings her to his grandfather's coffee shop.Mitsuyoshi Tada, a boy who has never known love, is taking pictures of the cherry blossoms in full bloom when he meets Teresa Wagner, a transfer student from Luxembourg. 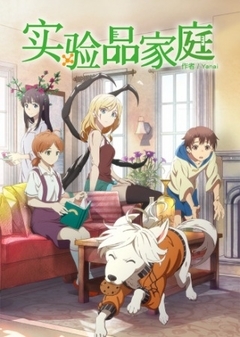 I’ve been curious about this show since it was announced a while back. The setting doesn’t sound bad and could tell a good romance if the leads turn out to be likable. The PVs have caught my attention and something about the show just has my interest piqued. Be nice if the show mirrors the PV in the sense of staying in the heads of both lead characters. I don’t mind getting onboard for a bit of a space opera. This season isn’t swamped with big sci-fi adventures so why not see how this one turns out? 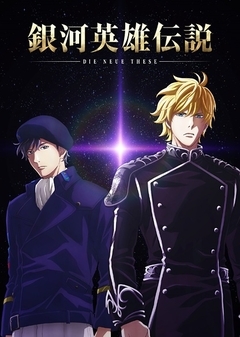 It looks to be a show with a lot of big space battles and following the careers of two major figures in this war. No idea if this show will be good. But as someone who enjoys some space based action I’ll be checking it out. Does anyone else feel like this is a digital world version of Angel Beats? I’m really hoping that I don’t come to dislike the lead of this show as I did in that one. At least this does have a pretty interesting angle to it. People being thrown into this digital loop to live out their lives quietly, but some clearly finding out and wanting to leave. This doesn’t sound like a group that is content with just knowing the truth, they want to take action. 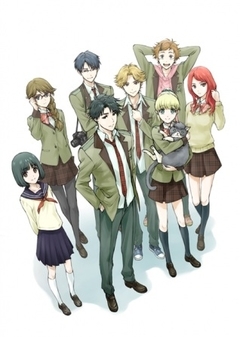 It could be an interesting show that tackles some good issues while mixing in some action. Or it could be pretty unremarkable. Let’s hope it turns out alright. This is another fairly interesting sounding original project. There is nothing too unusual in anime about an experiment going wild and there being dire consequences. But that doesn’t mean that this can’t be a good show. It sounds as if we can expect some interesting action and a struggle to resolve the crisis that is currently ongoing. I’m a bit curious about this one, but my hype levels are still fairly muted. This could be another pretty interesting series. Kind of curious to see how this family interacts and how the MC struggles to look out for them while trying to get them back to normal. They could go in some interesting and/or comical directions with the setup. This is a family that has been experimented on by their parents, just how do they handle that kind of betrayal? If nothing else we have a show with a variety of people/creatures just trying to get by. It could be fun if nothing else. As a whole I’d say the Spring season looks pretty promising. The top end of this season looks downright fantastic. I’d say that is consistent with most seasons, but sometimes you can have a dry spell. If the top shows deliver then this season will be great in my eyes regardless. Hopefully the shows I know less about just surprise me in the best possible way. The more good shows in a season the better. This season is pretty packed in terms of the action side of it. 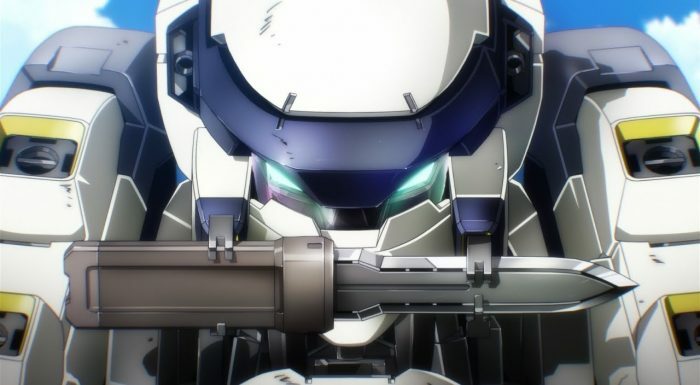 Boku no Hero is going to deliver, but we’ve also got shows like Full Metal Panic to bring more of a mecha angle to the action. We’ll have a bit of space action to look forward to along with what should be an action packed RPG adaptation in Persona 5. It should not be a boring season that’s for sure. A good mix of sequels, spinoffs, and original series as well. An upcoming season always has a bit of mixed feelings to it. I’m sad to see the shows I’m really enjoying end, but I’m also excited to see something new. These previews are always helpful in sorting out my own thoughts and in allowing others to know what I’m looking forward to. I hope this was an interesting read and worthwhile.